Figuring out finances after divorce is one of the most challenging parts of this life transition. Couples often spend years building up assets and financial security, but this arrangement no longer applies once the marriage ends. Determining how to divide property in a divorce is a crucial matter, and one that is prone to provoke disagreement, especially if one party believes he/she contributed a greater share of the couple’s assets and seeks the lion’s share of the marital assets. An individual’s financial security often rides on the how assets and liabilities are divided, and ideally, the parties are able to negotiate a fair settlement on their own. Taking this route is more likely to leave both spouses feeling they received the appropriate share of the marital estate. 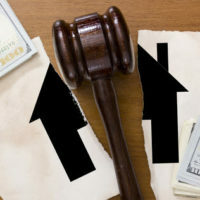 If a couple turns to a court to decide this issue, however, the legal standard of equitable distribution will guide its decision, and this standard refers to the rebuttable presumption that marital property should be divided equally, but most importantly fairly. Thus, a court will deviate from an equal division if the circumstances indicate it would be unjust or unfair to do so. A discussion of how courts evaluate whether equal distribution is fair, and what assets are considered marital property, will follow below. actions by either party to intentionally waste or destroy marital assets after the divorce was initiated or during the two years prior. all vested and unvested rights in retirement accounts, pensions, insurance plans and the like. In addition, all real and personal property owned by the parties as tenants by the entireties (ownership available to married couples with right of survivorship) are presumed to be marital property, though this can be contested. The untangling that comes with divorce is not easy, and property division is a key issue that couples need to know about and understand. The Donna Hung Law Group understands how stressful and overwhelming divorce can be, and is dedicated to providing their clients with the representation they need to get the best possible result and move on with their life. Contact the Orlando law firm at (407) 999-0099 to schedule a confidential consultation.